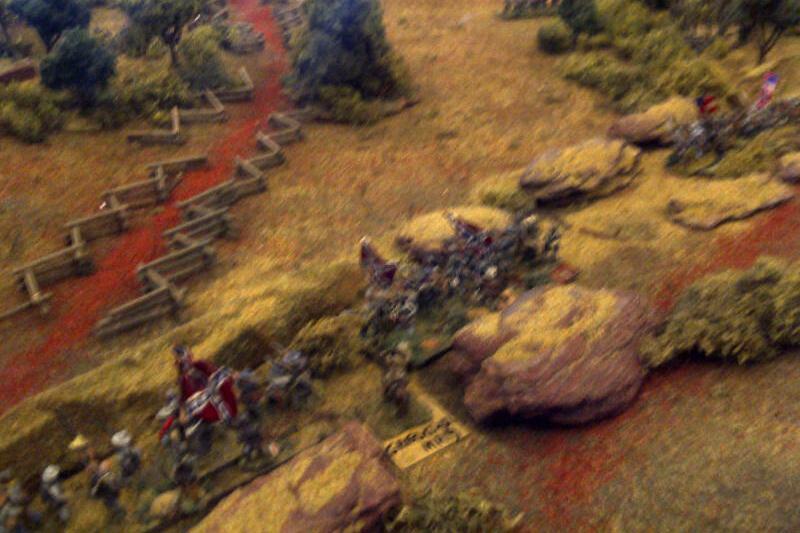 I attended the Friday night sessions of the 2013 Cold Wars miniature wargaming convention in Lancaster, Pa. 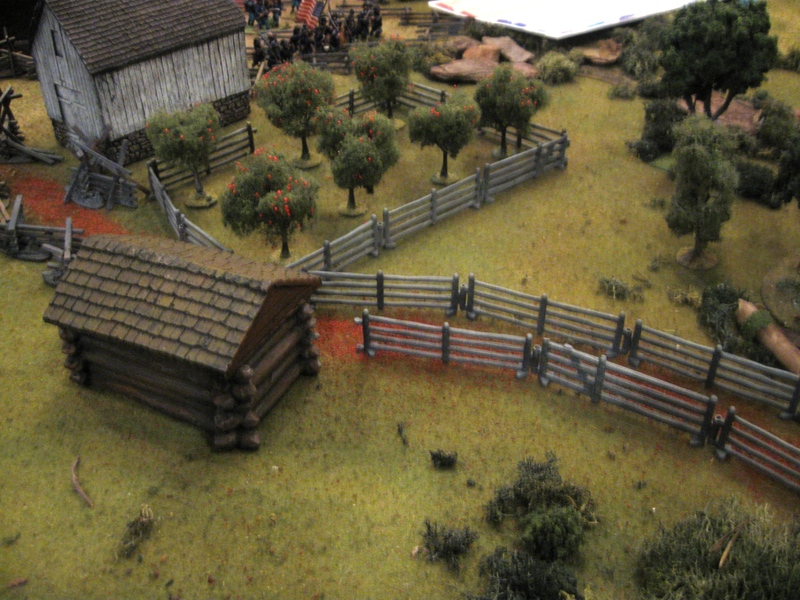 The above photo is a section of a 25mm game of the Battle of Groveton, presented by Ohio gamemaster Jim Kopchak. 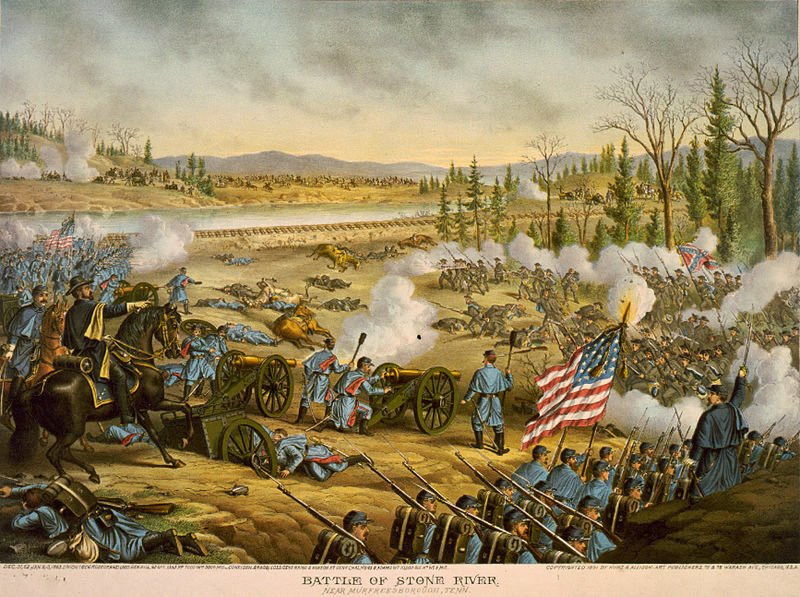 The fighting resulted in a Union victory when the Rebel commanders retired. 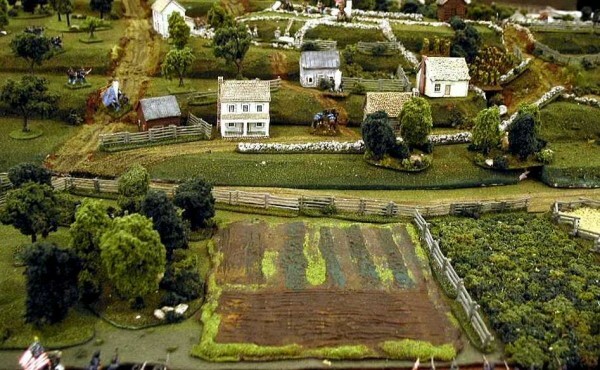 Jim used his own home-grown set of rules, Civil War Commander II. 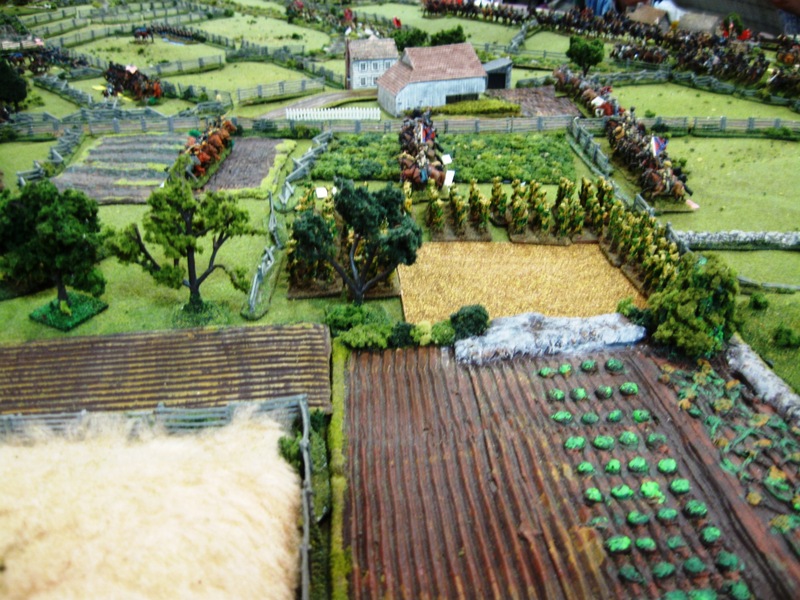 Another shot of Jim’s 25mm layout. Jim’s rules include a unique “capture the flag” system of determining victory points. When a unit ir eliminated, that player who lost the unit must give 1 or 2 flags (depending upon the unit) to his opponent as trophies of war. 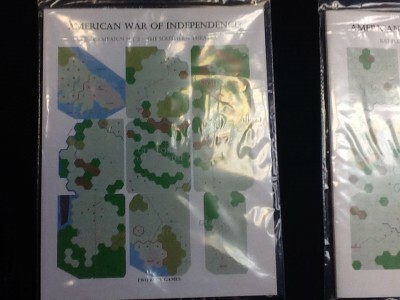 Here are more photos of Jim’s game, as well as Regimental Fire & Fury games by Lowell Hamilton and Rich Hasenauer, and a skirmish game by John Michael Priest. 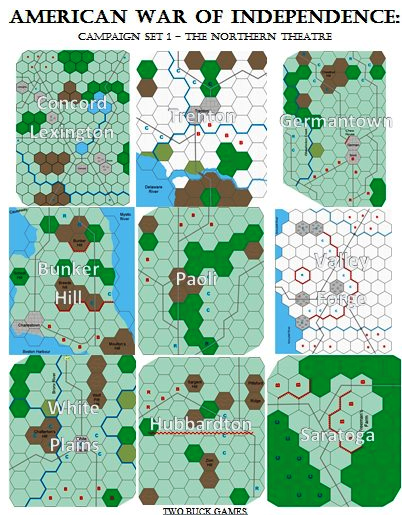 Osprey has launched a new series of books in August 2012 which are self-contained wargame rules, replete with typically impressive Osprey artwork for which the company is famed, as well as well-designed scenarios and playing aids. The first two of these small books, 64 pages in length, are the works of veteran gamers Daniel Mersey and Paul Eaglestone, and are sure to provide a popular foundation for expanding the series further. 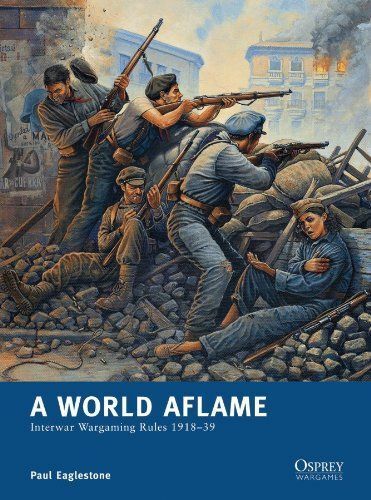 Eaglestone”s A World Aflame: Interwar Wargame Rules 1918-39 offers the gamer a chance to use a single, cohesive set of rules for those series of conflicts set between World War I and World War II. Players can wargame the bloody Irish War of Independence, the many civil wars in China, the Spanish Civil War (no special rules for Ernest Hemingway! ), and other confrontations of note. To read more about the game mechanisms, click here. To order a deeply discounted copy from amazon.com, click here. 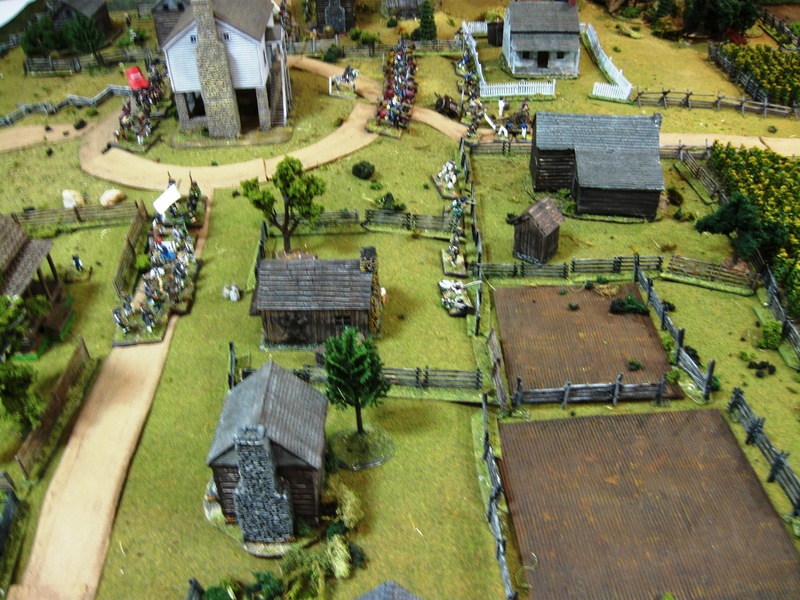 Veteran gamemaster and author Jim Kopchak of the Northern Ohio Wargaming Society presented a 15mm game of Second Manassas at the annual Cold Wars gaming convention held at the Lancaster Host Resort in Lancaster, Pa. My BlackBerry camera does not do justice to this visually appealing game. Six players enjoyed a 4-hour game which came down to the final turn before the Yankees managed a foothold in the railroad cut, winning the game. Phil and Robin Spera have assumed ownership of Dave’s Baggage Train following Dave’s passing away. 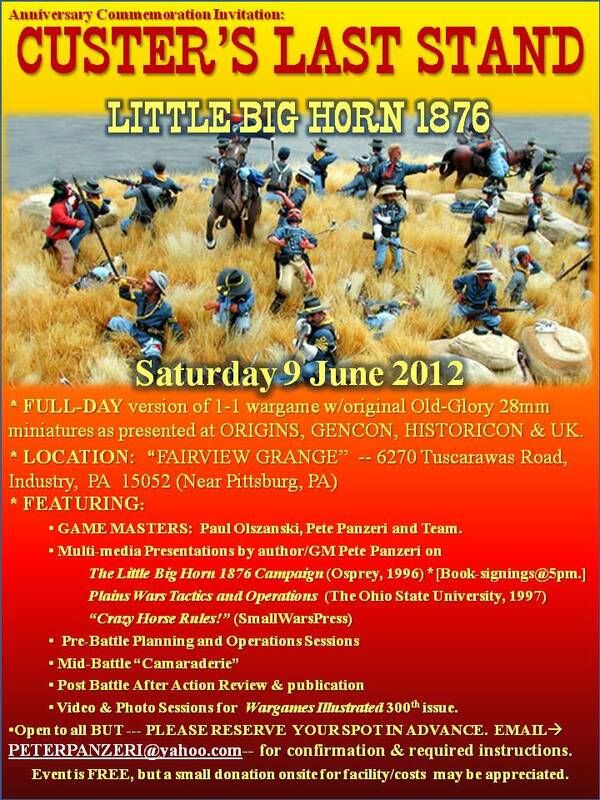 They are offering all Johnny Reb Gaming Society members and CHARGE! blog readers a special 10% discount for all orders placed between now and Cold Wars 2012! Simply mention the code word “scott mingus discount” when you place your order to receive this special pricing. Visit their website at Dave’s Baggage Train and then decide what you want to order. Talk with either Phil or Robin, and receive your discount when you order. Or, you can e-mail Phil at phil@davesbaggagetrain.com. I have used this system for several HMGS-East conventions, and have added to my collection of trays and cases. Here are photographs at some of my Civil War miniature wargaming items as stored in the trays that I purchased for use with the carrying cases.